Hey there fellow geeks!! Have you ever heard of the phenomenal Back To The Future Car Charger?? The Flux Capacitor is now A REAL THING and it seems to be ready to make actual bendings in space-time. Yeah, I said that it’s actually A REAL THING which YOU CAN BUY. I’ll explain you what this 1.81 Gigawats badboy is about and I will show you where you can buy one if you want to have one of these bad boys. 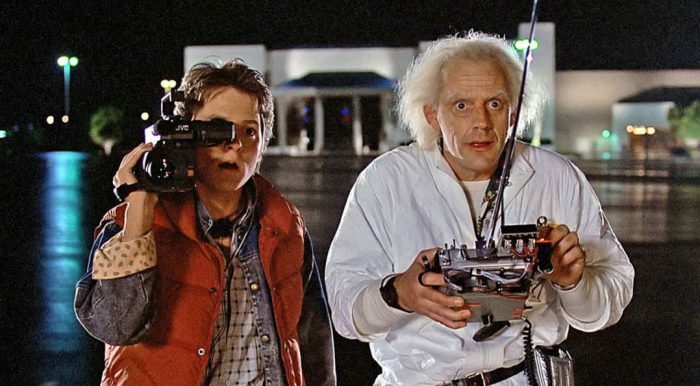 I think everyone reading this post is aware of what Back To The Future is, right?? If you’re not, well.. You need to catch some stuff up buddy)) But to summ it up, it’s an EPIC Sci-Fi movie from the 80’s which has left its huge mark on cinema history and on the geek hearts of ours also. If you haven’t watched it yet, I advise you to urgently atch it an put a tick on your movie checklist. Because without it you’re just uncomplete! So, your mind refreshed up a little bit?? Brought back that good old memories?? 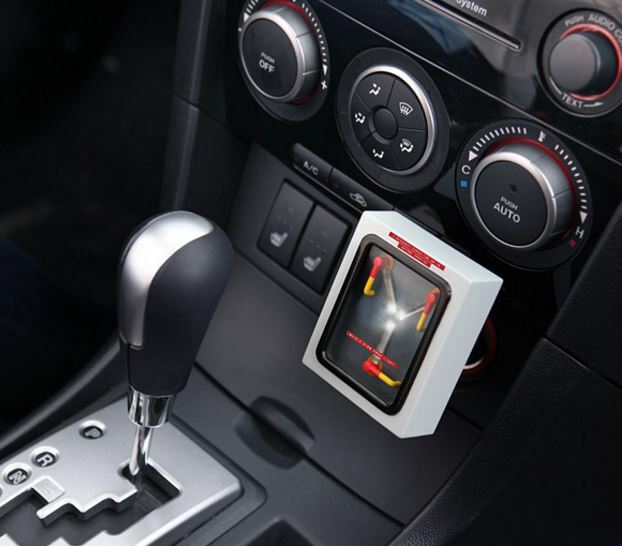 Now you can have your own Flux Capacitor. Well, it doesn’t put out 1.21 Gigawats ;)) But it does provide enough energy to charge 2 devices simultaneously. It can charge anything (iPhones, smartphones, iPads, tablets, GPSes, etc.) via USB if you have the compatible cable with you. The best part is of course the glowing lights!!! You can make your car interior a small rave club while riding through the night with some good old 80s Retro Wave techno music. You can also switch off the lights if you get uncomfortable with them. Also one of the things that you should be aware of is the speed limit. Because an officer won’t accept an explanation like “I’ve hit my head on the sink, and when I came to I had a revelation!”. You’ll probably end up with a penalty and some time in an asylum. Where You Can Buy One?? The easiest place where you can buy one for yourself is probably Amazon. The retail is great, millions of people (and probably you) use it, and you can catch some massive discount. If you want to get one of these babies and travel in space and time, you can click the button below to see the page where you can buy.